Financial Literacy can be defined as the ability to understand and manage financial resources effectively for a lifetime of financial well-being. It is how a person earns it, manages it, and invests it. 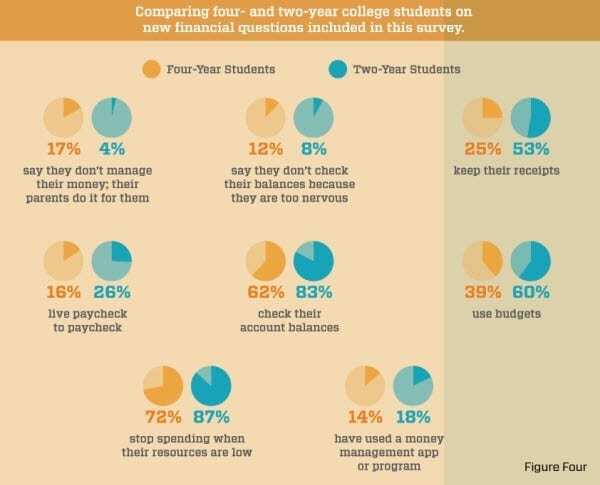 Financial Literacy is much more than balancing a checkbook. More specifically, it refers to the set of skills and knowledge that allows an individual to make informed and effective decisions with all of their financial resources. Below are several links that are beneficial to your personal finances and will increase your financial knowledge! 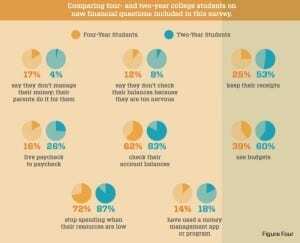 Comparing four- and two-year college students on new financial questions in this survey. 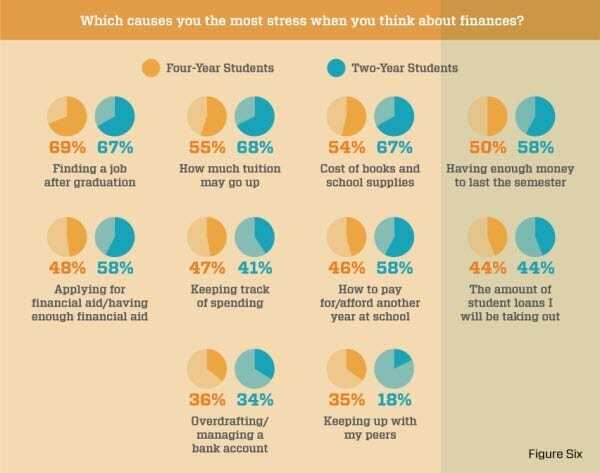 Which causes you the most stress when you think about finances?